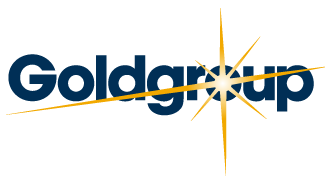 Welcome to Goldgroup Mining Inc.
Goldgroup Mining Inc. ("Goldgroup") is a Canadian-based gold production, development and exploration company with a significant upside in a portfolio of projects in Mexico, one of the world's best mining jurisdictions. Goldgroup's goal is to explore, develop and grow production from its two main assets: Cerro Prieto mine located in Sonora and San Jose de Gracia in Sinaloa. Goldgroup's 100% ownership of the Cerro Prieto gold mine, as well as its 50% interest in DynaResource de Mexico S.A. de C.V. which owns 100% of the San José de Gracia project, represents an estimated mineral resource (NI 43-101 compliant -- see "Overview" for information on the Qualified Persons) totaling approximately 59,000 oz Au of Measured resources, 236,500 oz Au of Indicated Resources (1.18Mt @ 1.56g/t Au, 5.8Mt @ 1.65g/t Au) and 602,500 oz Au of Inferred Resources (10.8Mt @ 3.12g/t Au), plus the potential to considerably increase these estimated resources through continued drilling and exploration. Goldgroup is led by a team of highly successful individuals with extensive expertise in exploration, corporate finance, and mine development in Mexico.